Charles Russo is a San Francisco journalist and contributor to Fightland. 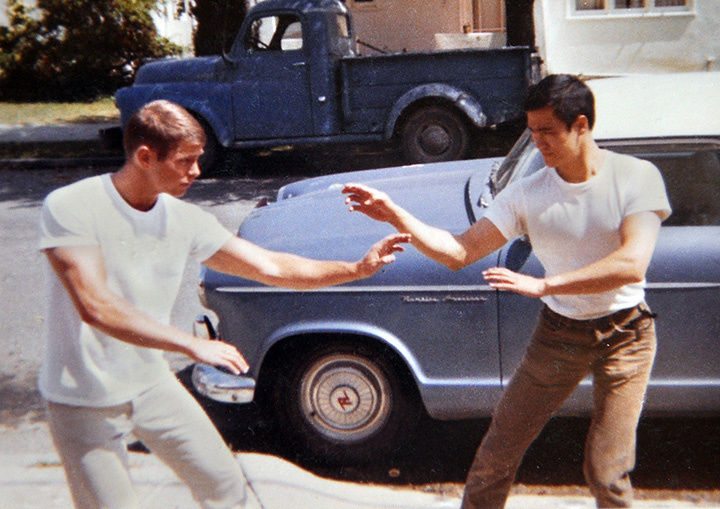 His new book Striking Distance: Bruce Lee and the Dawn of Martial Arts in America chronicles the formative days of a young (pre-Hollywood) Bruce Lee as he navigates the heated martial arts proving ground of the San Francisco Bay Area in the early 1960s. 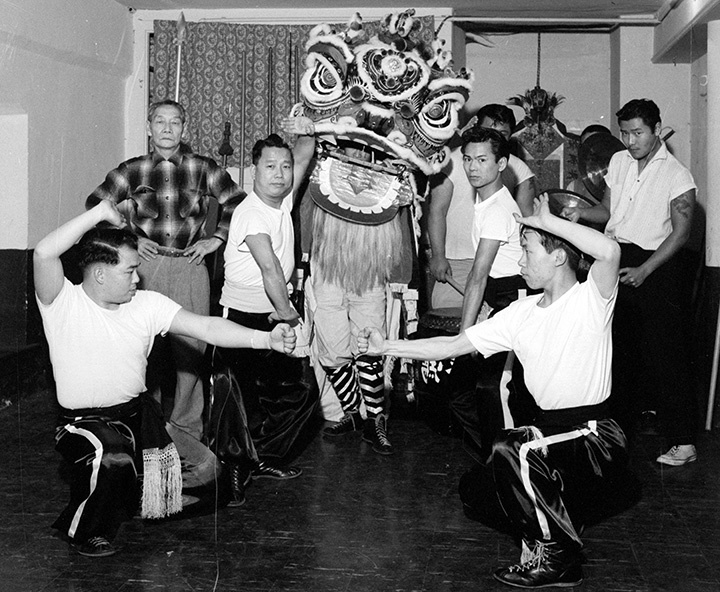 The historical photographs featured here (and in the book) reflect the robust fight culture that Bruce encountered, which ran the gamut from Chinatown Tong enforcers to Oakland street fighters. Regarded by the Chinatown masters as little more than "a dissident with bad manners," Bruce's time amid this culture would be both turbulent and formative, involving his legendary high noon showdown with Wong Jack Man as well as his earliest formal constructions of Jeet Kune Do. "Guys were practically lining up to fight Bruce Lee after his performance at Long Beach," says Clarence Lee, a longtime karate teacher in San Francisco who was a tournament judge that day. This quote runs contrary to the prevailing storyline of Bruce's demonstration at Long Beach in '64, which has long asserted that he merely executed some fancy stunts and came across as so charismatic that everyone fell in love with him. In truth, Bruce delivered a scathing lecture that challenged many of the prevailing practices of the time, leaving those in attendance highly polarized about this unknown young practitioner. As one observer summarized it: "Bruce made a number of enemies that night, as well as a number of followers." Was Bruce Lee of English Descent?